Family members have been known to find success in the same profession. The same is known for soccer players, as many have another sibling playing professional football. There is always that competition to be the best within the family that likely drives the players to success. Whether they are playing in the shadow of the older brother, or playing to stay ahead of the younger, each finds a way to become successful. Off the top of your head, you can probably think of some of the more famous footballing brothers. Do the family names Touré, Boateng, or Hazard ring a bell? But do the different footballing brothers that prove it runs in the family wear the same brand? Or do the brothers wear rival brands? Read on to find out more about footballing brothers and what they wear. Kevin-Prince’s and Jerome’s current clubs went head to head just a few days ago when the two German giants, Schalke and Bayern Munich, met at the Allianz Arena in Munich. Although Jerome was an unused sub during the ordeal, his side won 5-1 thanks to a big performance from Arjen Robben. Kevin-Prince, the older of the half-brothers, has primarily worn Hypervenoms this season, although he has a made a few appearances in Tiempo Legends, which are the choice of Jerome. Both Boatengs have been instrumental for their respective teams this season, and each will be looking to make appearances at the World Cup this summer. Surprisingly, they play for different international teams, and could once again face each other in Brazil when Ghana (Kevin-Prince) plays Germany (Jerome) in group stages. Not only do both players wear the same boots, they are twins that also play the same role as a midfielder. Both play for top clubs in the Bundesliga, Bayer Leverkusen and Borussia Dortmund. It’s not surprising that they both choose the Nitrocharge, as both players could be classified as the engine type midfielder. Both are known for their dependability and high workrate, but Lars is more of a threat going forward while Sven often breaks up play and has precise short balls. Either way, it is hard to distinguish between the two because they are both high quality footballers. Perhaps we will see them playing on the same team once again at the World Cup if both manage to make the highly competitive German squad. Two more twins that play professional football are the Turkish Internationals Hamit and Halil. Hamit plays for Galatasaray as a versatile midfielder. He wears the Predator LZ, but he unfortunately hasn’t been able to use them lately due to injury. Halil, who plays for FC Augsburg, plays either as a center forward, or outside midfielder. Because of his more attacking role, he chooses the Puma Evospeed 1.2. The Tourés have both been dominating figures in the Premier League. Yaya’s physical presence is always a force in the Man City midfield and Kolo has been getting routine minutes with title contenders Liverpool. 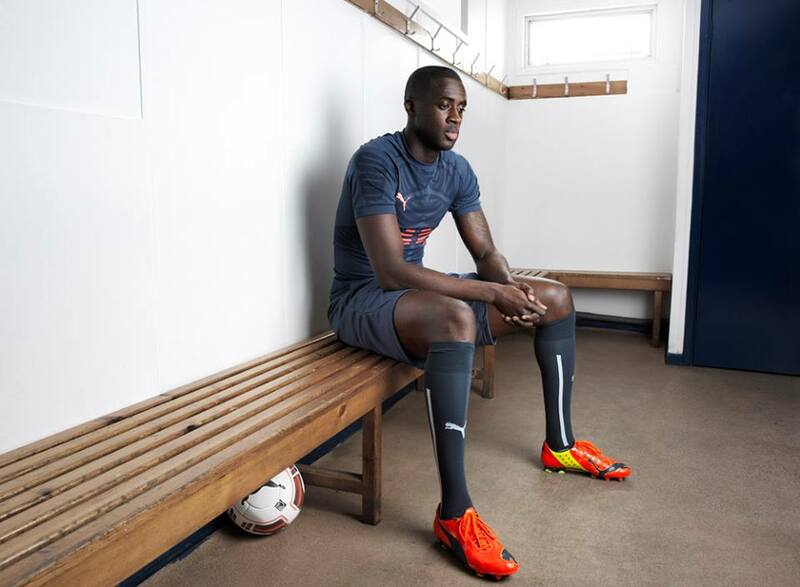 Boot wise, Yaya made the recent switch into the Evopower from the King, and it has rewarded him with a Capitol One Cup title. In fact, he believes that the goal he scored in the game was the best he has ever scored. Kolo, on the other hand, wears the Warrior Skreamer. It’s a perfect fit for him, especially because Liverpool’s kit sponsor is Warrior. However, I feel that both would be a good fit in the other’s boots because they have similar playing styles. Although neither Shola or Sammy has been getting a lot of playing time lately, they just had to be included because both play for the same club- Newcastle United! Shola is the older of the two, which may explain why he goes with a more heritage focused boot, the King. Sammy goes for the flashy Nike Vapor instead. Shola is actually 11 years older than Sammy, and they have a middle brother named Tomi who plays for Whitley Bay. The infamous da Silva twins have had different experiences ever since arriving at Manchester United. Although Fabio was initially deemed the better of the two, he now plays for Cardiff City after having a hard time an United. Rafael on the other hand has become an important fixture in the United defense. Despite their different fortunes, they both wear the same boots and play the same role, a spot that they battled over in the Manchester United line up. As outside backs, the choice for them is the Nike CTR360 Maestri, which is useful in distribution. Eden Hazard has been all over headlines this year, grabbing goal after goal for Chelsea in his Mercurial Vapor IXs. But younger brother Thorgan is out to prove his worth, as he is on loan to Zulte Waregem from Chelsea. He has begun to emerge as his own talent wearing his Vapor IX pair, and perhaps he could one day play alongside Eden at Chelsea. Thorgan plays as a winger or attacking midfielder like his brother. He has also won the Belgian Golden Boot award, proving football must run in this family. Did we miss any famous footballing brothers you wanted to read about? Perhaps the Ferdinands, Traorés, de Jongs, or even the dos Santos’? Let us know in the comments below! Michael Farfan's boot choice is kind of interesting, because he still wears the Maestri II despite being a Nike sponsored athlete as recently as the end of last season.